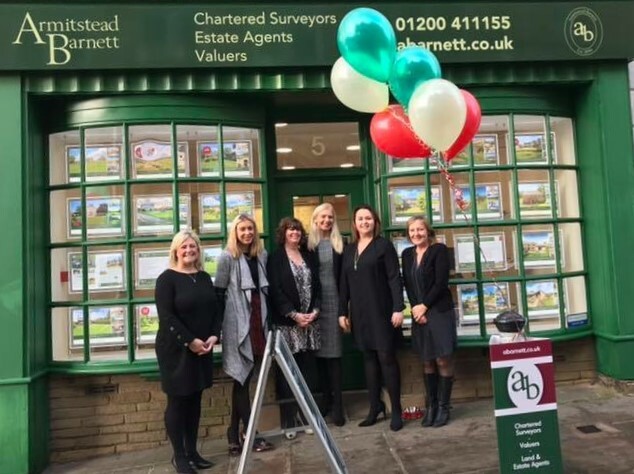 A leading firm of rural chartered surveyors, valuers, estate agents and auctioneers working throughout Lancashire and Cumbria, Armitstead Barnett operate across the entire rural property sector. They offer specialist advice and expertise to customers and clients, including Land and Development services in both residential and commercial sectors. Contracted to manage the technical elements of the new Ribble Valley office opening, Q2Q was tasked with fitting-out of the three-man site ahead of its official opening on February 1st. With work having commenced in January, Q2Q was responsible for providing a turnkey service which included an infrastructure audit, procurement of equipment and setup of the new establishment before the arrival of employees. The scheme of works included rewiring the existing infrastructure, as well as installing new internet lines and network equipment. Prior to completion, the technicians prepared each workstation, to prevent any tech-related down-time for the Armitstead Barnett team. The project wasn’t without its challenges though, as half of the building’s network sockets were wired to an outdated phone system. Consequently, the engineers had to upgrade the patch panel and infrastructure prior to the assembly of workstations. Lorna Stellakis, organisational development director at Q2Q, explained; “Anyone who has moved to a new house will know how stressful a relocation can be. Add into that several technical, IT and networking challenges and you can imagine the scope of work involved in moving a business. Luckily, that’s a job we love taking on at Q2Q! Dianne Turner, head of operations at Armitstead Barnett, added; “It’s always a worry for an organisation when it comes to opening a new office, as you expose yourselves to the potential for hours – if not days – of downtime while the infrastructure is put into place. This can have a massive knock-on effect on the efficiencies of the firm, so it was important to us that the process was as smooth as possible. In addition to this latest project, Armitstead Barnett retains Q2Q’s ongoing support across all four of their office locations. Services include reactive support, as well as constant proactive and preventative maintenance to keep the company operating efficiently.